Ada pertanyaan untuk Kyoto Uji Hanayashiki Ukifune-en? Terletak strategis di Kyoto, Kyoto Uji Hanayashiki Ukifune-en adalah tempat yang luar biasa untuk menelusuri kota yang aktif ini. Hanya 72km dari sini, hotel bintang 4 ini dapat secara mudah diakses dari bandara. Yang tidak ketinggalan adalah akses mudah dari hotel ini ke sejumlah obyek wisata dan landmark kota ini seperti Kuil Byodo-in, Tokura Hospital, Ujiobaku Hospital. Di Kyoto Uji Hanayashiki Ukifune-en, pelayanan istimewa dan fasilitas yang unggul akan membuat pengalaman menginap Anda tidak terlupakan. Hotel ini menyediakan WiFi gratis di semua kamar, layanan taksi, fasilitas untuk tamu dengan kebutuhan khusus, penyimpanan barang, Wi-fi di tempat umum untuk menjamin kenyamanan terbaik bagi para tamu kami. Suasana Kyoto Uji Hanayashiki Ukifune-en tercermin di setiap kamarnya. televisi layar datar, teh gratis, cermin, handuk, akses internet - WiFi hanyalah beberapa dari fasilitas yang dapat Anda nikmati. Hotel ini menawarkan berbagai pengalaman hiburan unik seperti hot tub, sauna, lapangan golf (sekitar 3 km), pijat, karaoke. Fasilitas super dan lokasi yang istimewa menjadikan Kyoto Uji Hanayashiki Ukifune-en tempat yang sempurna untuk menikmati penginapan Anda selama di Kyoto. Untuk makan malam dan sarapan, diwajibkan melakukan pemesanan terlebih dahulu. Pemesanan 2 hari sebelumnya untuk makan malam, dan 1 hari sebelumnya untuk sarapan. Penggunaan layanan shuttle gratis tersedia di hotel (tergantung pada syarat dan ketentuan hotel). Hanya tersedia satu kamar untuk tipe kamar Akebono, Tokiwa, Yamabuki, dan Botan. Anak di bawah usia 4 tahun dapat menginap gratis apabila menggunakan ranjang yang telah ada. Anak berusia 4 hingga 9 tahun akan dikenakan biaya 50% dari tarif untuk dewasa. Anak berusia 10 tahun dan lebih dianggap sebagai tamu dewasa. Biaya tambahan akan ditagihkan di properti. Restoran di sekitar area properti terbatas jumlahnya dan kemungkinan tutup lebih awal pada malam hari. Makan malam kemungkinan akan susah didapatkan setelah pukul 17:00. The place is so clean and the river view is nice Staff is very polite The negative way is the location is not convenient and there is only one public spa in 1/f But if you need to go outside in the morning, you can reserve the bus for going to JR station. 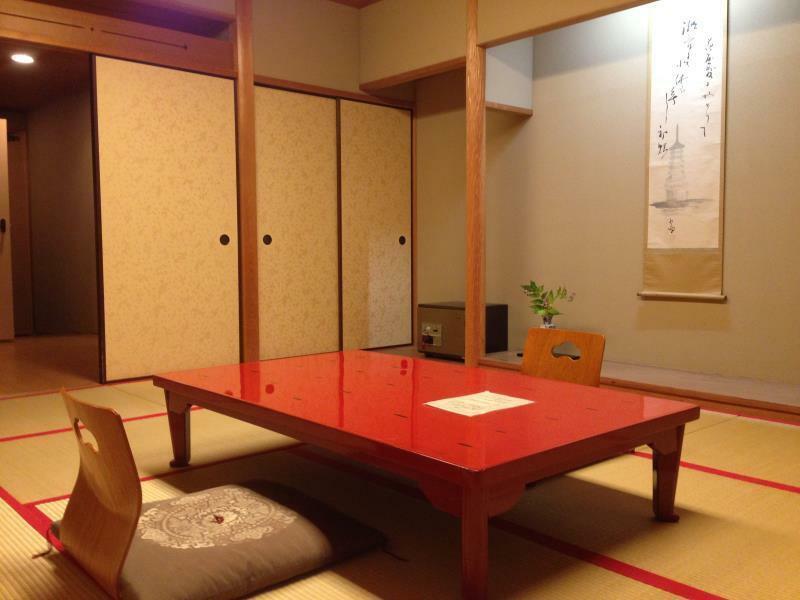 The room is clean and comfortable with private onsen in our room which was wonderful. Great river view but quite unfortunate that some work was going on at the river so during the day it was quite noisy but come night time very peaceful. Overall we had a good and relaxing stay at this Ryokan! The hotel is located by Uji river, all the rooms have river view. My parents and I enjoyed all the facilities and their service very much. On our way to the hotel on the train, I emailed the hotel to ask for possible pick-up from the train station. The staff replied me within 10mins and we saw the shuttle bus waiting outside of the station for us as we walked out. I especially enjoy the onsen bath on my he 3rd floor; ther's an indoor bath and a semi-outdoor one. The here's sauna too. It exceeded what I had expected. Best staff! Best services! Best hotel location! Best hotel facilities! Best room design and space! After all, this is the best hotel we ever stayed in the past years of traveling all over Japan. Good work! nice quiet tatami rooms, loved the onsen bathroom, I loved everything here. Our room had a great view of the river, however, when we got to the hotel and wanted to reserve traditional breakfast for the mornings, they said there weren't any "spots" left, which ruined the experience. Would still recommend though, the staff was really friendly and the public baths were nice. First the bad thing, the location isn't that great. It's about a 15 minute walk from the 2 train stations, so if you are carrying your luggage, just take a cab for about 600 Yen. However, the rooms are beautiful and spacious, they provide you complimentary water and green tea snacks everyday. The futon that you sleep on is extremely comfortable. Do book the Japanese breakfast and the Kiseki meal, they are really really good. Just remember to book early so that you won't be disappointed. 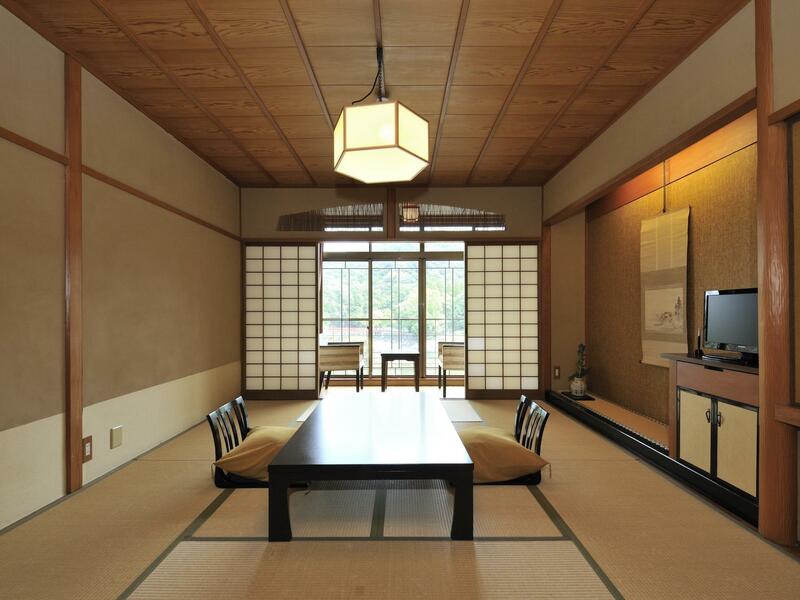 Given that Uji is quite dead at night, you might want to book the Kiseki dinner. Great place to stay if you decide to stay in Uji for a night or two. 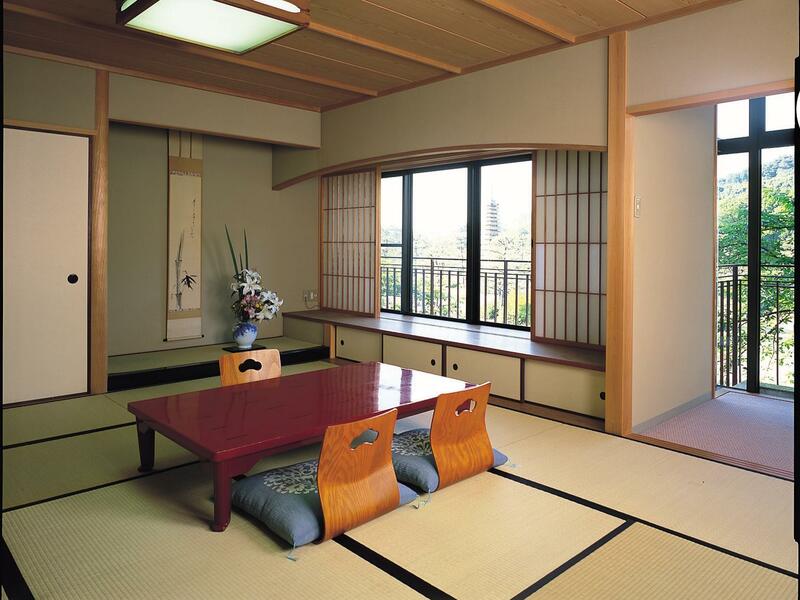 The ryokan I'd foreigner friendly and the view of the Uji River is awesome. The kiseki dinner is great but do book it early at least 2 days in advance. They also have a Japanese breakfast which you will need to book before hand. If there is any criticism it's the location. It is a far walk from the Uji Stations but there is a shuttle nus that brings you out. Just ask the reception for advice. Staff was excellent and interacted with a male staff who lived in US, and can speak very good English, 15 min walk to the JR train station, Great view facing the Uji River, breakfast was accommodating as I wanted continental breakfast instead of Japanese breakfast on the second day (inform them before 5pm the day before), shuttle bus was handy, No complaints at all, Excellent!!!! this quaint & romantic lil resort is like a hidden treasure. So serene & beautiful. The staff were very friendly and helpful and the hot bath is lovely. overall it's a very beautiful lil town. we're so glad we found it. the photos doesn't do it justice, it's beautiful. It's our honeymoon trip and the place suits our purpose well. 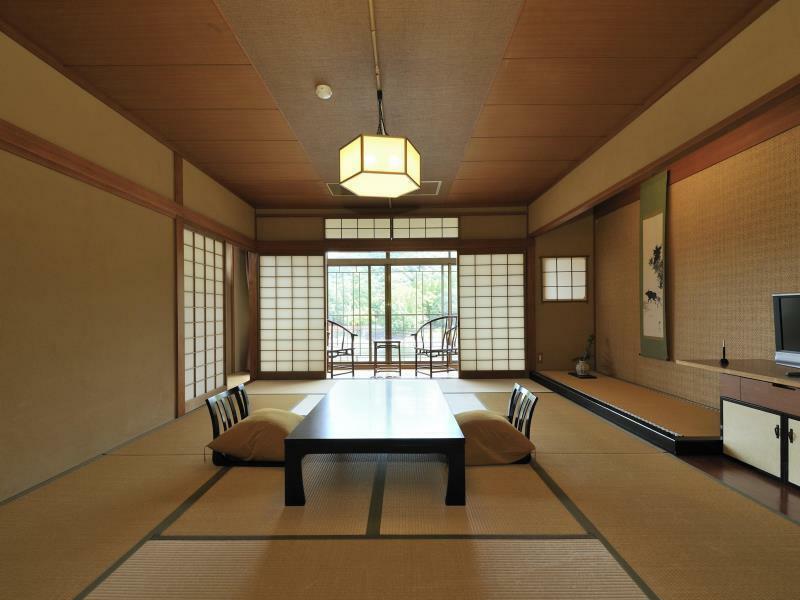 Uji is a charming place and the hotel is on the best spot of Uji. The service is great, the food is delicious, the facility is clean and comfortable. Only complain is that there is a construction on Uji river in front of the hotel, this should be mentioned on the hotel's information. Everything was excellent except one unexpected thing about our dinner reserved. We were served diner dish by dish, which we thought that some of them should be served together e.g. Japanese hot pot should come with rice but the hot pot served first and they served the rice after we finished our hot pot. I'm not sure whether my understanding is correct or not. Maybe there were a lot of customers on that day so our dinner were a bit unorganized. You can enjoy the view while sitting at balcony at night, turn off all the light and you can see the sky full of star. A bit far from JR station, staff are friendly and helpful, breakfast is also very nice. Nice onsen, had a relaxing stay. Love to stay in this hotel just for two night. Great to just enjoy the view while sitting at balcony at night with all the light off, you can see the sky full of star. I recommend this place to everyone. Helpful staff, very clean, very nice breakfast, nice baths. It will be very nice if you are planning on one night to relax and recover from your trip. Love to being stay in this hotel even just for a night. Love this hotel because it has breath taking view in each of the room, you can enjoy the view while sitting at balcony or even first sight after wake up. Enjoy your morning walk along Uji river and green tea street. Night time is quiet and nothing there, what we did is we walk to Uji station and ride to Kyoto station for some walk. It really depend what you want. But we do love the culture places than modern and noisy places. Will recommend this place to my friends. The hotel is located on the river bank of the Uji river, and has really good view of a pagoda and a bridge. And it is really close to the historical sight of Pyodoin and the JR station. Very good services. 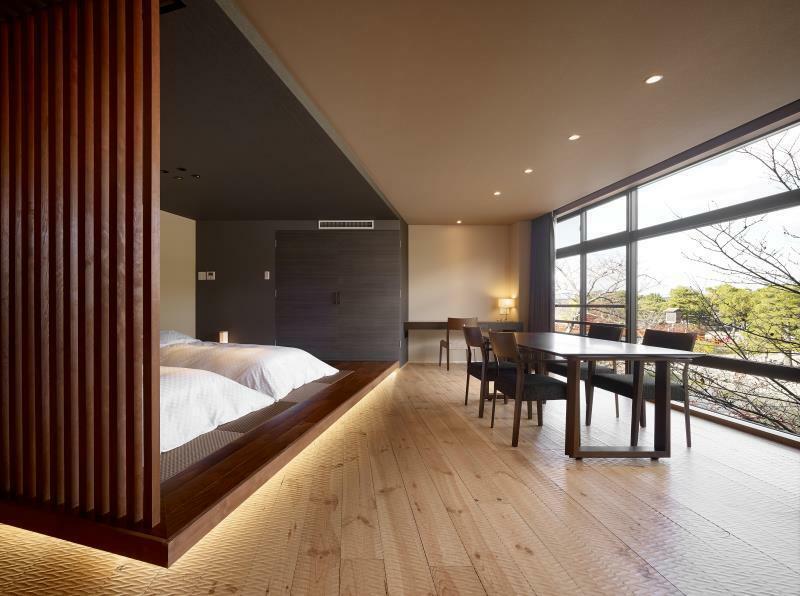 I stayed in tokiwa room with my baby and husband and the private onsen was amazing. Definitely get that. Not the best location because no eateries nearby that serves breakfast, so eat the hotel breakfast if you stay there. Hotel is located next to the Uji river and it is beautiful what you see from the window of your room. Trraditional rooms are wide and clean and service is outstanding. Great onsen bath to relax. Great to to rest and relax. Japanese breakfast is fine, but not outstanding compared to other places I have been.